As much as we love oatmeal, we don't know why we didn't make this before now. This mixture is just the way we like it, and the texture is very much like our favorite brand (which happens to be a store brand). And it's so easy! 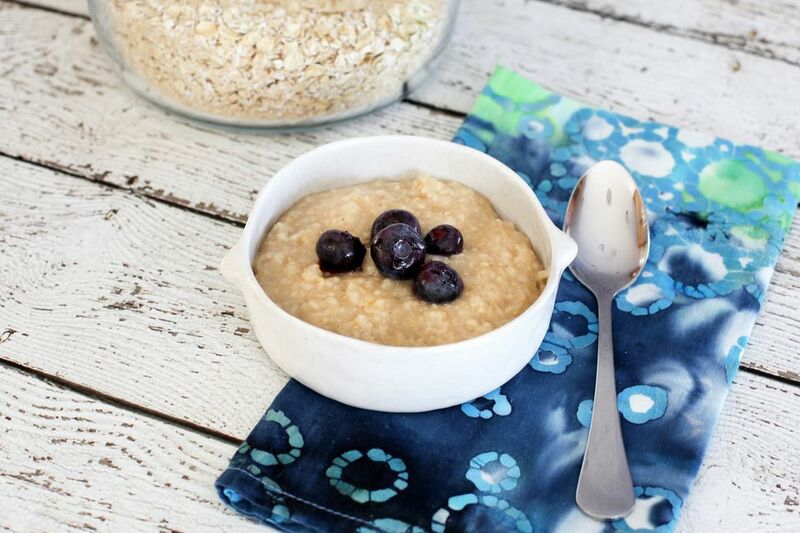 A mixture of rolled oats, quick oats, and ground quick oats give this homemade instant oatmeal more texture than some of the leading brands, and it's very adaptable. For maple and brown sugar, drizzle with a little maple syrup after cooking. Or add dried or fresh fruit or berries, or spice it with a little cinnamon. You may also make the oatmeal without the brown sugar. Just add sugar or brown sugar, if desired, when you cook the oatmeal. Put 1 cup of the quick oats in a food processor or blender with the brown sugar and salt. Pulse a few times until quite fine. Measure 1/3 cup of the instant oatmeal mixture into a microwave-safe bowl. Add about 2/3 cup of water or milk. Microwave on HIGH for about 1 1/2 to 2 minutes. Stir and let stand for a minute to thicken. Top with berries, maple syrup, vanilla sugar, cinnamon sugar, and/or more milk. Slow-Cooker Steel-Cut Oatmeal - In a greased slow cooker, combine 2 cups of steel cut oats with 6 1/2 cups of water, 1 cup of applesauce, 1/3 to 1/2 cup of brown sugar, chopped cranberries or raisins. Cover and cook on low for 6 to 8 hours. Add 1/2 cup of light cream or half-and-half and cook for another 10 minutes. Blueberries and Cream - Add 2 tablespoons of dried blueberries and 1 tablespoon of powdered coffee creamer to each serving. Apple Cinnamon - If you did not add the cinnamon to the mixture, add 1/4 teaspoon of cinnamon and 2 tablespoons of finely chopped dried apples to each serving. Strawberries and Cream - Add 2 tablespoons of chopped dried strawberries and 1 tablespoon of powdered coffee creamer to each serving. Peaches and Cream - Add 2 tablespoons of finely chopped dried peaches and 1 tablespoon of powdered coffee creamer to each serving.